Local people are being encouraged to make their way to Astley Park’s Walled Garden next weekend for a unique and exciting outdoor theatre performance of the Railway Children. Chorley Council is working alongside Heartbreak Productions to bring you the theatre performance next week, along with another performance of Pride and Prejudice in September. The outdoor performances combines’ theatre and the outdoors which means you can enjoy entertainment in the summer weather. Councillor Peter Wilson, Deputy Leader of Chorley Council said: “An outdoor theatre performance is perfect for a summer family day out and these events are always popular. “We’d encourage people to come along with a picnic and a chair to get comfy in Astley Park’s Walled Garden for an exciting experience. “We’ve organised this event for a few years now and Heartbreak Productions always put on a great show. Families and friends are encouraged to pack up a picnic and bring a camping chair to enjoy one, or both, of the unique performances. 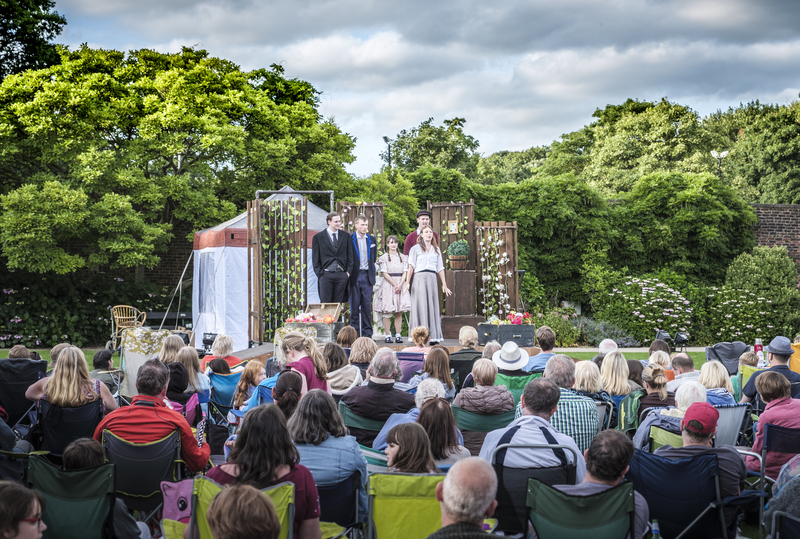 The Railway Children Performance is on Sunday 12 August, 5pm -7pm and Pride and Prejudice is on Saturday 1 September, 5pm-7pm, in the Walled Garden, Astley Park. Tickets are £14 for adults, £9 for children or a family ticket (2 adults and 2 children) can be purchased for £40. To book tickets for the theatre performances and to find out more about other events in the area, visit checkoutchorley.com.